Floating market is one of the most interesting places that’s a must see in Thailand. It’s a fun boat ride and shopping “haven” in one! The trick is, you need to be alert and fast enough to spot the best, haggle, pay and get the item. It takes practice to do all these things in a lightning fast mode because the boat can’t remain still for a long time unless there’s a “traffic” along the way. I managed to buy a deliciously cut mango to fill my stomach while enjoying the boat ride and quietly observing what’s going on. Mind you, it’s nerve-wracking and at the same time, a thrilling experience. It’s amazing how the vendors skillfully maneuver their boats while selling their stuff amidst the crowded river. It’s dangerous if the vendor is not knowledgeable enough to control the boat because a collision with the “reckless drivers” may occur. After the boat ride, together with my newfound friend (a nice lady from Chicago), we went to check out items near the floating market. While I haggled with the vendors to get a cheaper price, she was smiling and later on told me that I was very good at it. When she saw an item that interests her, she requested me to negotiate and get a good price. Great tandem, eh? 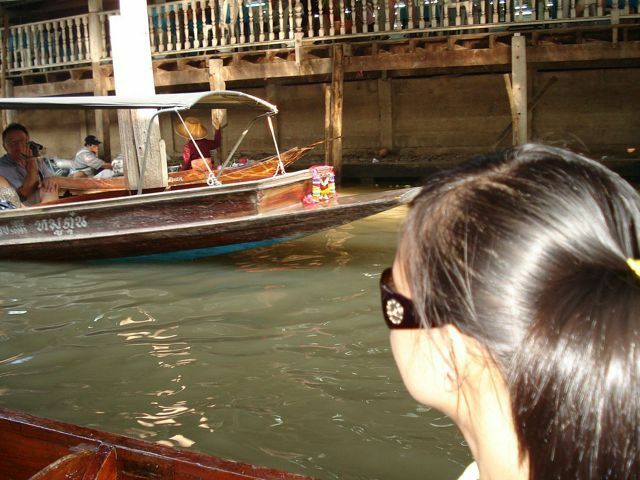 Have fun with the boat ride at the floating market when you visit Thailand! 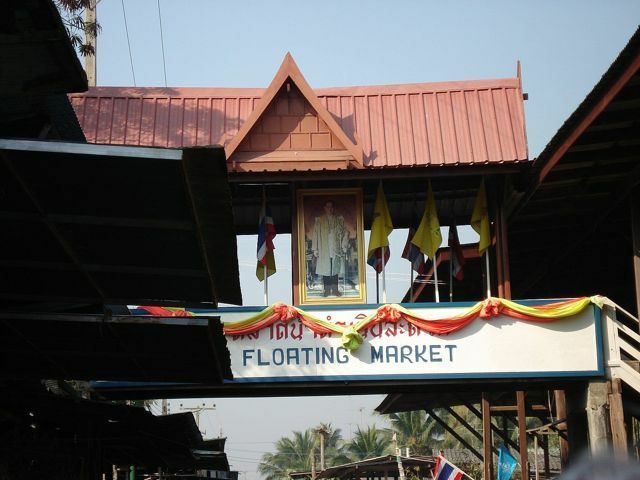 Items at the floating market are more expensive than those located near the area. Haggle! When they give you a price, cut the price by half or even lower and then agree at a price.